Colostrum collected during the first day after a calf is born has significantly higher levels of bioactive components, including immunoglobulins (Ig). APS BioGroup accepts colostrum from the first day only. In order to kick off the calf’s immune system, it is vital the newborn calf consumes this “first milking” colostrum. Each cow produces about 12 liters of “first milking” colostrum at the time the calf is born. About 2 liters is fed to the calf within the first half hour after birth. About three hours later, the calf is given a boost of another 2 liters. APS then harvests the remaining 8 liters. Colostrum collection currently occurs in 19 states. 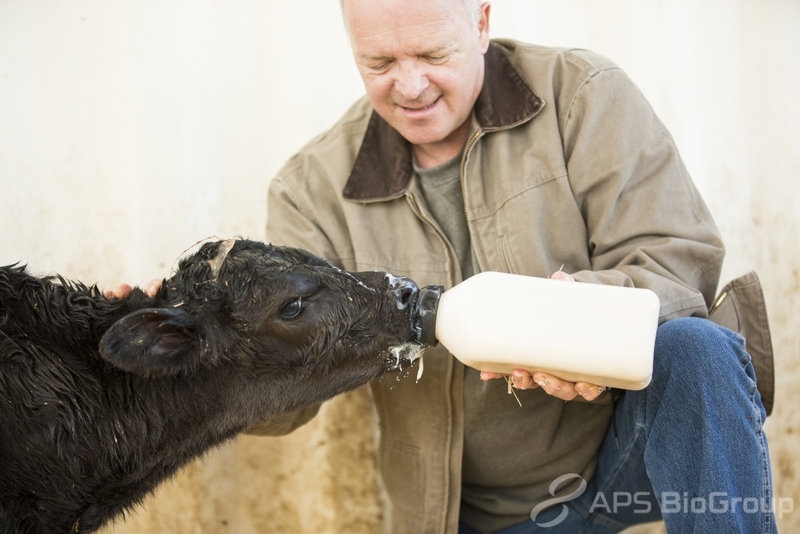 Combining nation-wide collection with our prime location in the Southwest United States enables APS BioGroup to collect fresh colostrum all year. Because of the temperate climate, calving occurs year-round here in the Southwest – which has the largest concentration of dairy cows in the world. In many other parts of the globe (including Northern Europe and Northern United States) calving only occurs in the spring because of the cycle of the seasons. All raw colostrum supplied to APS BioGroup must meet 2003 Pasteurization Milk Ordinance (PMO) requirements. Colostrum is only collected from USDA Grade A dairies that are monitored daily for quality assurance compliance by our field quality control specialist. Raw colostrum from each dairy undergoes a 42 point in-house and/or independent testing protocol including chemistry, specification of pathogens and general microbiology and other necessary testing to assure colostrum is collected from the first day only and is free from adulterants. APS BioGroup collects colostrum only from USDA Grade "A" dairies.